The AVS®Pro III helps to considerably reduce the workload of qualified employees, particularly when working with time-consuming series measurements. A further advantage is the increased degree of safety that is achieved by the fully automatic measuring procedure when aggressive media such as sulfuric acid are used. The use of the ProClean system and micro-dosing makes routine operation even safer. 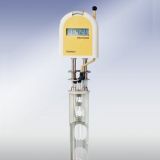 Filtration of the solutions, which is sometimes hazardous, is no longer necessary. With its high performance and reliable functioning, which has been practically demonstrated in continuous use, the AVS®Pro III has established itself in a very short time as an essential instrument for daily use, particularly in the oil and plastics industries. 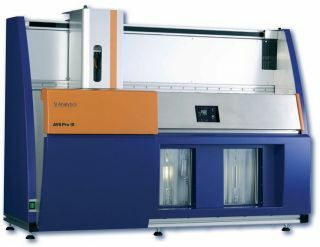 The autosampler AVS®Pro III works according to the capillary method, the most accurate physical method for determining the viscosity of Newtonian liquids. It can achieve an accuracy of better than 0.1%. 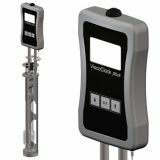 The possibility of using viscometers with optical and TC sensors means that an extraordinarily wide range of applications can be covered; these include the measurement of both transparent liquids and opaque crude oil products.